Classic well-furnished rooms with a spectacular view of the valley and the mountains in the distance. Located in Village Panog, Shimla, Khushala Valley View is a delightful place with a warm interior decor and an inviting ambience. 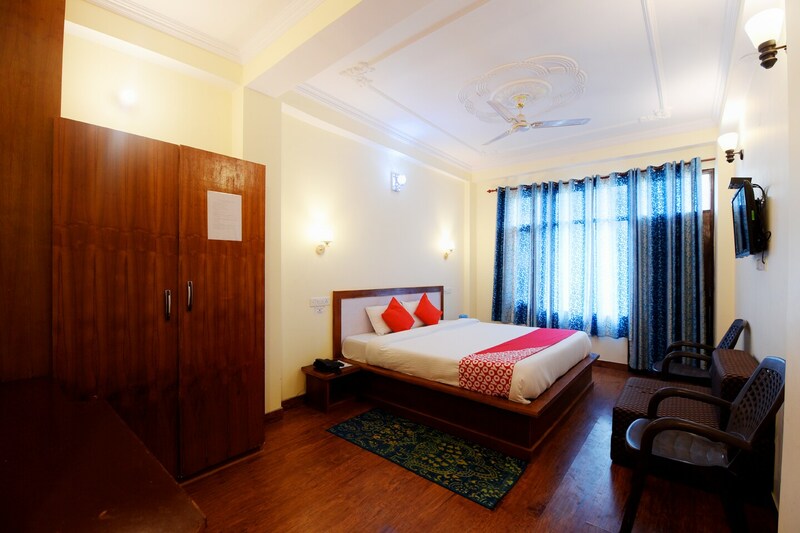 The bedrooms at the hotel have light colored walls, dark wood furnishings and soft glowing lights, keeping the ambience of the rooms warm and cozy. The rooms also have a balcony overlooking the majestic view of the valley and the lush greenery surrounding the hotel. A seating area is available at the hotel for the guests to make use of during their stay. The hotel provides its guests with free Wi-Fi so that they can remain connected with the rest of the virtual world. Other amenities offered by the hotel are a mini fridge, a hair dryer, CCTV cameras and a card payment option. Tourist attractions such as Shimla Jakhu, Chadwick Falls, Scandal Point, and Victory Tunnel are located in close proximity to the hotel.